If you have a problem with fleas in your property, the main cause is your cat or dog. Even if a prior tenant/owner had a cat or dog, this may be the cause/reason for your problem. 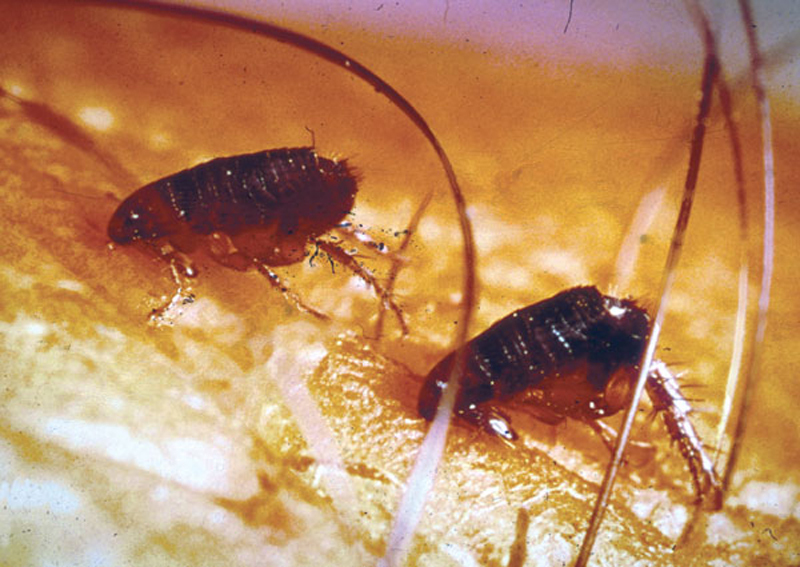 Habitat: fleas live in and around pets and their bedding. Breeding: depending on temperature, growth is 8-150 days, but normally is 2-3 weeks. A flea consists of 13 segments, growing through two moulting stages. A fully-grown larva will spin a cocoon with pupation lasting months or years, depending on temperature and conditions.